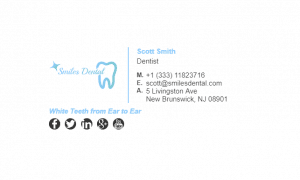 Being a dentist and keeping on top of your appointments can be challenging. 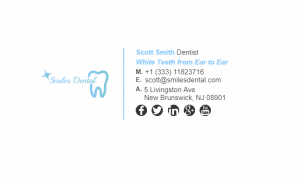 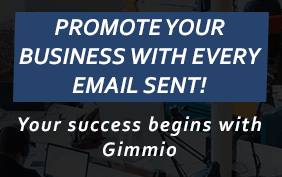 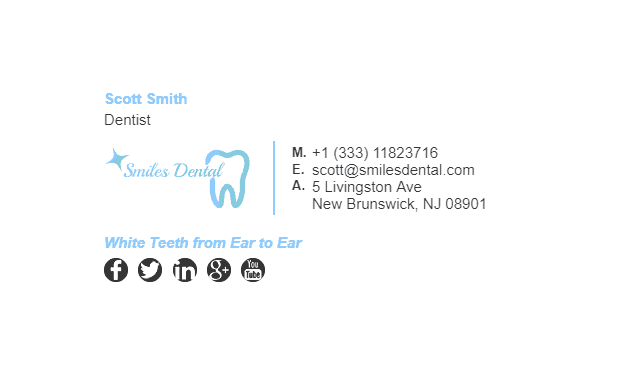 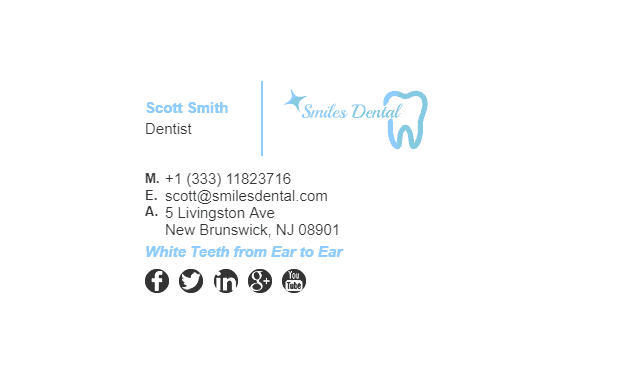 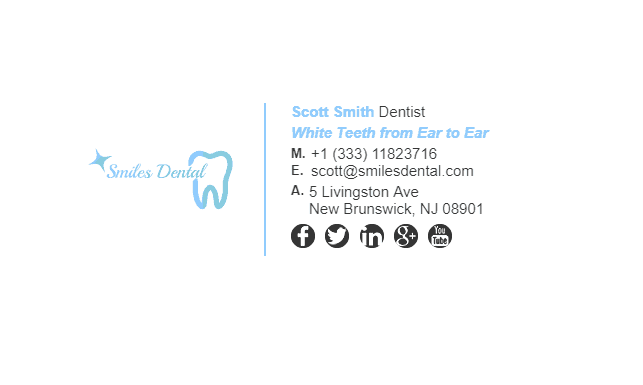 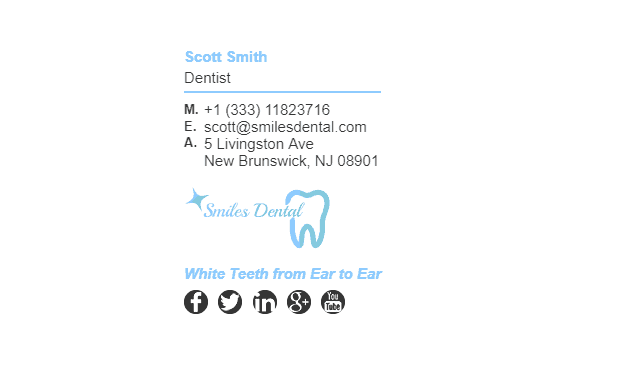 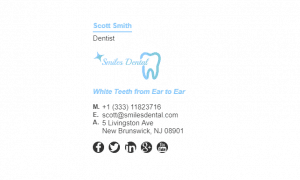 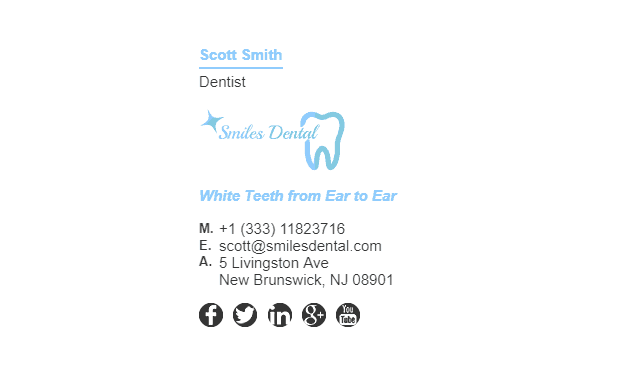 Like most professions, dentists should have a well designed and stylish email signature. 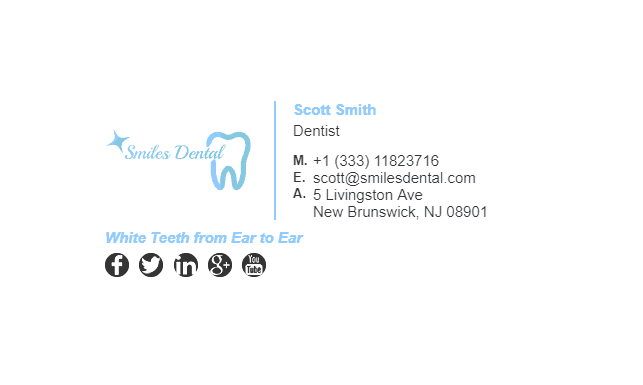 We have been helping dentists create email signatures for a long time, so we know what works and what doesn’t. We have some examples below which are applicable to dentistry, dental surgery and the orthodontist industries. 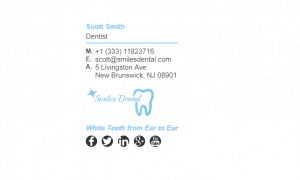 What Should Be Included in a Dentists Email Signature?